When you bring a hamster into your life, you are not bringing in a smaller version of a dog or a cat. You are bringing in a hamster. Hamsters, on the whole, do not like to be handled. Over time and with patience, they can very well enjoy being handles or climbing about on you. But many hamsters will not like to be handled like a cat or a dog and will defend themselves as a result. Hamsters do not plot about when and where they can attack you. If your hamster bites, it is because your hamster is upset or stressed out. 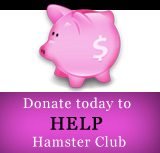 Remember, hamsters are prey species. This means they think that when any big creature is trying to touch them, it's trying to eat them. This is when they will bite in order to escape. Never bothering your hamster when he or she is sleeping. Hamsters are understandably very cranky if they are abruptly woken up. Don't handle your hamster in the day, unless there's an emergency. Hamsters are nocturnal and want to sleep all day. Wash your hands before handling your hamster, else your fingers might smell like food and be inadvertently mistaken for food. Try not to swoop down on your hamster from above like a bird of prey. Try to avoid picking up your hamster from above and behind him or her. New hamsters are really nervous about their new environment for about a week until they get used to their new homes. You might have to pick up an aggressive hamster for the vet to inspect, or to get off the floor and back into the cage or for whatever reason. Get a clear mug or measuring cup. Get gardening gloves (if you have them). 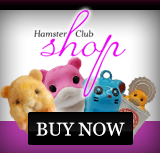 Corner the hamster with the mug or measuring cup and use your gloved hands to herd the hamster in the cup. Pick up the mug and hamster with your hand over top so hammy doesn't leap out. You can often examine the hamster in the clear mug or cup to check on bodily health. Hamsters are extremely intelligent and if you are willing to be patient and get to know them on their terms, they will respond to being petted, stroked and handled. Talking to your hamster when your hamster is awake while not handling will get them used to your presence. You can then hold a treat like fresh broccoli in your hand left inside their cage. Ideally, have your palm turned up and the treat in the hand. Let the hamster get the treat when he or she is good and ready. Let the hamster take the treat and walk all over your hand, but do not try to pick the hamster up. Repeat this process for about a week, and then try to pet the hammy slowly and deliberately. Have more treats ready. Reward calm behaviour. Taming an aggressive hamster takes a lot of time, so keep a sense of humor. The hamster will learn in his or her own sweet time. This may take months of short treat-filled sessions of a few minutes. Making friends with a hamster is worth it.